I went there quite skeptical. And I was tired. My very first day in my new home. Stockholm. And the Infruset tour has just started. First there was a concert in Visby, then Norrköping, my destination. Another hour in the train, the dawn slowly coming outside the train windows. I’m thinking about the coincidence. The first thing I do in my new life is Mando Diao concert. It´s even more suitable because they were one of the reasons why I felt in love with Sweden. So now I’m here, heading Norrköping and my first official concert of MD singing in Swedish. The first time when I will hear ALL the songs from Infruset album. 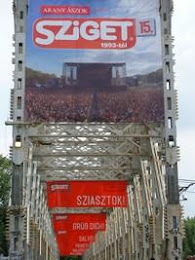 There´s no need to hurry, seats in the first row are certain; I bought my tickets already in December. And I’m not really excited. They don’t make me nervous these days. The concert takes place in a wonderful concert hall close to a river, the whole event makes impression of some theatrical performance or something completely different, definitely not Mando Diao concert. Where are all those girls waiting to be able to be in the first row? Where are all those young girls anyway? There are plenty of older people, dressed very fine and I’m feeling weird in my jeans and a T-shirt. The whole feeling is very different from all my previous Mando Diao experiences. There were small venues, huge open air concerts, acoustic sessions played in music stores, unplugged, plugged... but never something like this. It feels certainly weird. 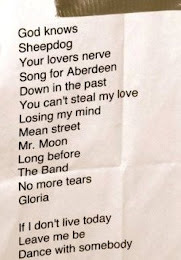 Most of the guests are going to see Mando Diao for the first time, I suppose. What it will be like for them? And for me? It’s been a while since this band is not the same for me anymore. They started something I can’t stand and like, they changed a lot. I don’t even listen to the whole Swedish album anymore. I guess I’m more like the fan of the first episode of the series called Mando Diao. Ode to Ochrasy times, that’s what makes me shake every time I listen to it. I don’t adore Give Me Fire album and I deeply hate Caligola. But still. They are...Mando Diao. The reason, my answer for so many questions. They are still present. That’s why I’m here tonight. In Norrköping. However I’m not going to freak out because of them anymore. I’m more curious than excited like I used to be. I sit into the first row and wait. Prepared for everything. Then it happens. It got me from the first second, indeed. It’s little bit like theatrical act. It’s a game. And I love that it’s in Swedish, my new language I’m living with. During the first songs I still feel distracted because of the Caligola impression. It’s in the way Gustaf and Björn move, sing, act. It’s in them, the whole Caligola thing. I see it and feel it and I’m not sure if it’s appropriate in this Infruset situation. However then comes I Ungdomen. And I got lost. I cry and I forget everything else. I only hear the music and words. With Strövtåg i Hembygden and Snigelns Visa comes back memories. To Munich show when we heard Snigelns Visa at the soundcheck for the first time. Memories and thoughts. They made me smile, cry and even dance in the end. They gave me the answer. How did they do it again, for god’s sake? When I’m leaving the venue I don’t feel empty like I used to feel after their show. I don’t feel high on music. But I feel I liked it. I feel I’m happy I was there. And most important of all... I feel I’m doing the right thing with my life, here in Sweden. I didn’t ask them and they didn’t tell me anything with proper words but it was there. 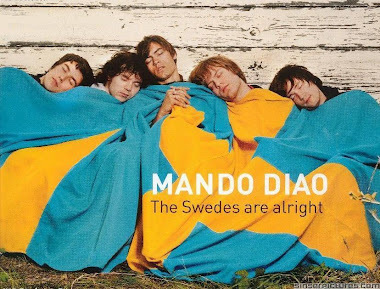 It’s always there, Mando Diao. In your music. That’s probably why I will always like you. Björn om Gustaf: "Det uppstår alltid en otrolig känsla när vi skriver låtar. Vi har samma mål." Check also our brand new blog about JOHNOSSI!